There are times when things go wrong while travelling, or something isn’t quite as you expected it to be. Travel can be very unpredictable and it is only natural that at times the experiences are bad rather than amazing. At times these worst travel experiences stand out even more than the good ones. We have been lucky overall, with very few negative experiences, however we haven’t avoided them completely. That would be almost impossible. And while I’m tempted to say snowboarding in Zakopane was one of my worst experiences, it wasn’t really. I’m just lousy at it! No, there are many incidents that sit well above that as the worst travel experiences we have had so far. 1.6.1 What are your worst travel experiences? On my first European holiday, I knew we would be spending a lot of time in the snow around Poland so I was happy to invest in a pair of rather cute, fashionable snow boots plus hiking boots. Neither were cheap but apparently they weren’t that great either. Within about a week of being on holiday, and after walking up and down more stairs than I care to remember in all the towers and ancient buildings we visited, not to mention the more than 800 stairs inside the Wieliczka Salt Mine, suddenly my ankles and knees had swollen and were horribly painful. It was especially painful to bend my knee so I ended up hobbling around in such a way to try and keep my right knee mostly straight, as it was the worst affected. 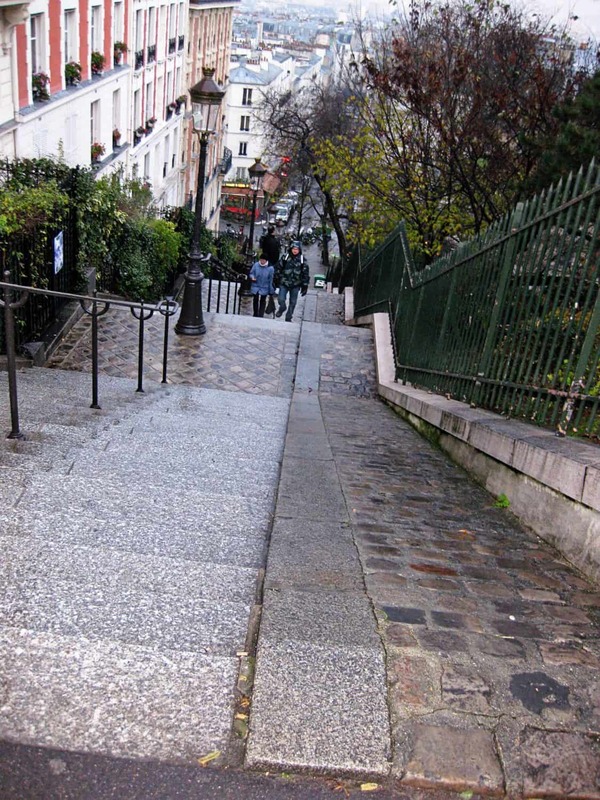 Down stairs was worse than up at least – so this walk up the stairs to Sacre Coeur was manageable until we had to go back down. There was no way I was missing out on all the great sights, but it was by far one of my worst travel experiences and has only happened to me once since after excessive walking. Both times within a couple of days of air travel so I am wondering if it was related. While on honeymoon in Fiji, we stayed in a lovely 5 star resort for a week. Since everything was inclusive with food and basic drinks, we had no reason to take our money out of the room with us when out and about the resort. Unfortunately this meant coming back to our room one day and realising we were at least a $50 note short… potentially more. We complained to the hotel management who sent a person to ‘investigate’ by checking through the luggage around where our wallets had been – in case we ‘misplaced’ it. We didn’t! The cleaner denied it. But they ended up debiting the cost of our cocktail tab from our check out bill as an apology anyway. It was an unfortunate negative to a wonderful honeymoon, however we would stay at the resort again. Overall, we loved our time there, despite it being one of our worst travel experiences. 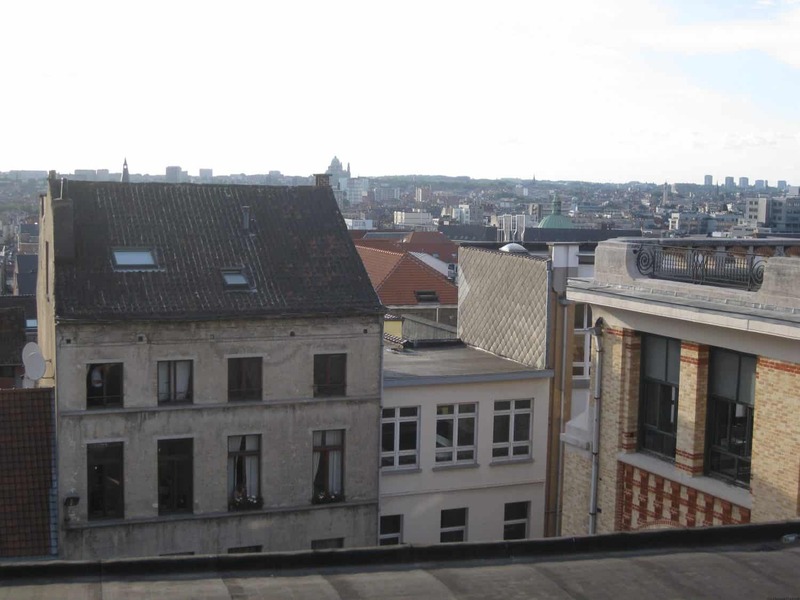 We had less than 24 hours in Brussels as part of a coach tour holiday in Europe once. Unfortunately there were delays with the coach getting us to Brussels and as a result, our city tour was cancelled so our one night in Brussels meant we saw very little sadly. This is definitely one of the biggest downfalls of guided tours vs independent travel. And below is one of the very few photos we got in the city. Even though we barely saw a thing, at least a few happy snaps made us feel a little better about it. These things happen but it is frustrating when it’s part of a package you have paid for and something you expect to be happening. Not a lot that can be done though. We will just have to go back again one day and see the best of Brussels. This one will actually probably make you laugh but we were seriously starting to panic and it became one of our worst travel experiences. 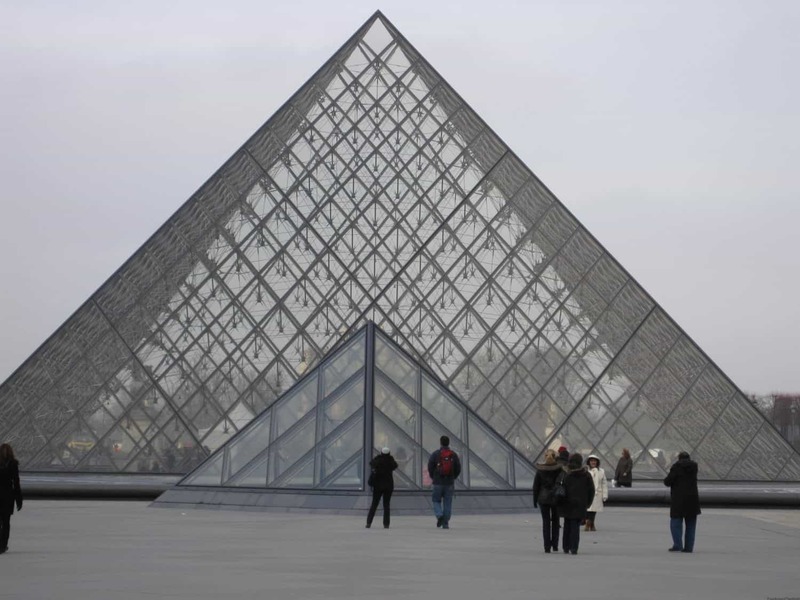 We enjoyed a couple of leisurely hours wandering around the Louvre – with my husband and his family. We saw a lot of the iconic artworks but short on time to see everything (since it would take days), so we attempted to find an exit and leave. But we couldn’t find one. We went from room to room and found no exit signs or possible ways out. It ended up like a maze. I’m not sure if this happens often in the Louvre or we were just having some major bad luck with the doors we choose in our attempt to escape. 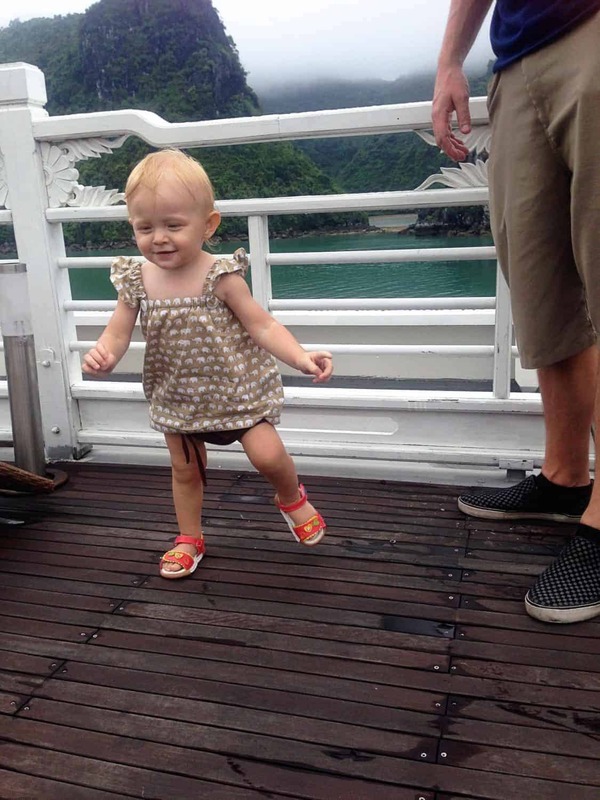 On the first night of our 2 night Halong Bay cruise, our daughter came down with a horrible stomach upset. She had eaten pretty much everything served to her earlier that day. A 7 course lunch. An even bigger dinner. So many delicious dishes coming our way. We aren’t sure if it was a stomach bug that caused it or just the amount of food and the mixture of new flavours she ate, mixed in with the cruising itself, but she sure did make a horrible mess of our cabin on the boat. We had pretty much run out of clean towels and it was the middle of the night so it was the worst sleep of our lives due to the mix of wet patches and extreme stress about our daughter’s well-being. She work up bright and happy the next morning, ready to have more adventures so it thankfully only lasted a couple of hours. It was actually the first time she had ever been sick at all. Yep, we lasted more than 12 months illness free. Chances are you’ve probably heard jokes about ‘Fiji Time’. We had but didn’t think much of it. Until again on our honeymoon. The day we arrived, we were very slowly introduced to Fiji Time. We got off our plane and collected our baggage, headed to the transfers office to arrange our pre-arranged private transport and sat down to wait. And wait. And wait. I think it was about 90 minutes of waiting and a couple of calls from the transfers office on our behalf before our driver casually walked in. Not a great start to our relaxing resort stay, but lucky we were still on our 2nd day of newlyweds high. 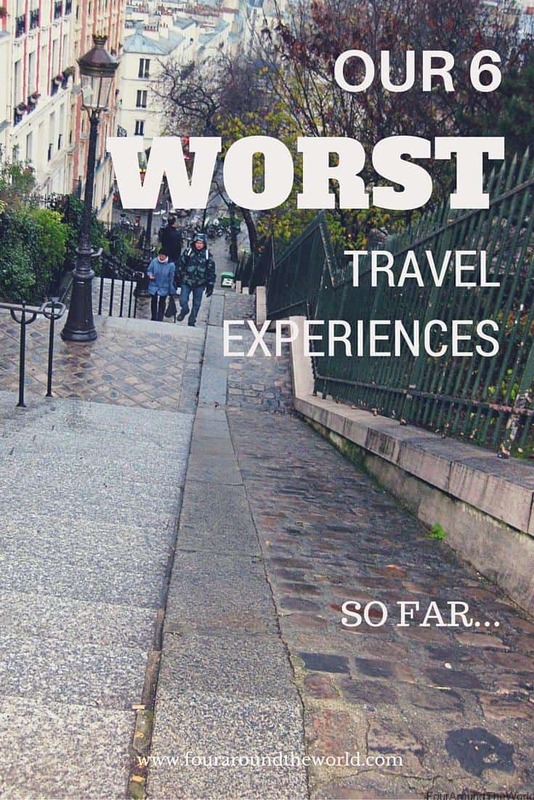 What are your worst travel experiences? My worst recent travel experience was just in the last few days! Flight delays with tired kids. We got delayed at Nha Trang airport for nearly 5 hrs. My son was so tired he feel asleep as soon as we got on the plane. It was a very short flight, not enough for him to feel better & when we had to get him off the plane at midnight he had a meltdown. To top it off we had to get a bus to the terminal & he was screaming his head off the whole way! Not pleasant for anyone! I was literally dragging him because we had so much hand luggage for 3 kids that I couldn’t carry him! Worst travel experience & worst mummy moment rolled into one! Oh no, that would be horrible. The airports in Vietnam aren’t that flash either, although we didn’t get to Nha Trang. From crappy hotels to tired kid meltdowns, you’ve had your challenges this trip but hopefully some awesome stuff too. I’m loving your pics & videos. Sickness is definitely the worst thing we’ve encountered. Having my now-husband get sick in Greece was absolutely terrifying. He “only” had food poisioning and subsequent dehydration, but he was shaking, couldn’t talk or use his hands and I was so scared it was something more sinister. Thank goodness for the owner of the little hotel we were at, who drove us to hospital (on Greek Easter), where he was put on a drip for the day. Except that I was not allowed in to emergency, so spent hours waiting and still not knowing what was wrong with him! The kids getting sick in Fiji and me in Bali and Fiji were very unpleasant, but I’ve never been so scared as in Greece! But it did convince me that I couldn’t live without this man and got me over my commitment issues!! Omg so scary! Glad he was ok. We have been lucky. Our daughter being sick on a boat in the middle of the bay was one of my most stressful life moments it was no where as extreme as your hubby. Here’s hoping future travels are illness free! 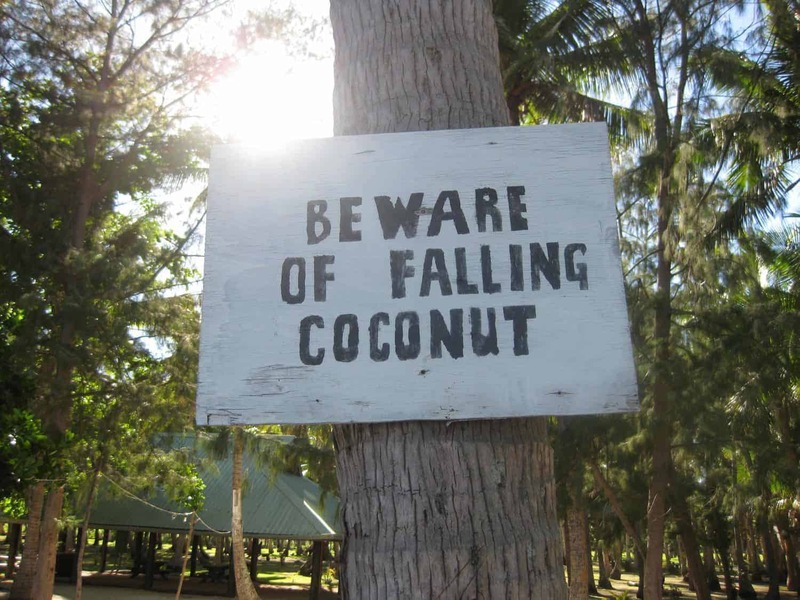 We’ve had a couple… Gastro in fiji which went through our group of 9 one by one. The day I got it we were transferring from the island back to the mainland and being on a boat in that state was hell. 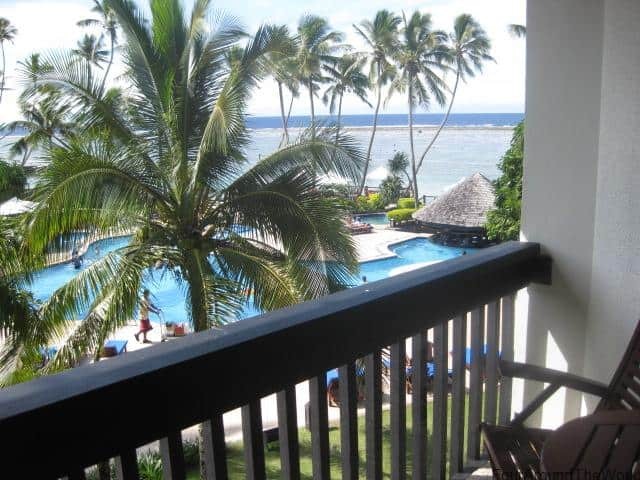 Then when we finally got to our resort we experienced ‘fiji time’ with our room not ready for an hour so I had to just wait in reception laying down feeling like I was dying. Another time my now hubby got food poisoning in the Amazon. We were hours from any form of civilisation amd it was a bit scary. Yep, you’ve had plenty worse than us. Eeeekkkk. I get a little sea sick so that’s about as unlucky as I have been with overseas illness. We were almost always first back to the bus on trips for fear of being left behind hahaha it hasn’t happened. Gosh, if that’s as bad as it gets you’ve been very lucky! Being stalked by a jaguar in a jungle in Guyana is probably more of my scarier travel adventures. Yes, we have been incredibly lucky. I hope writing this doesn’t mean our next trip will be worse ? but we will be travelling with 2 under 4. Being stalked by a dangerous animal is pretty freaky. Glad you didn’t become lunch! Oh dear, there are some doozies there, but they all make for great memories right?! That’s it. Most of them don’t stand out except the Louvre. Of all the things, that stands out. I hear the world & I want to shudder hahaha crazy because I actually love art galleries & it was amazing. Except maybe the getting lost in the Louvre… and I’m not laughing, because it happened to us too. The museum is huge and even with a map you lose your way. We were completely alone in a wing with Egyptian art for several long minutes until we saw a museum worker who gave us directions. Most important, I think, is not to lose your wanderlust after something bad happens on the road. I usually even get some sort of a lesson out of every bad situation and after time passes, those make for excellent travel stories! You can read my post on the topic, link is below, if you’re interested in other bad travel stories. Omg, it was in the Egyptian art section for us too haha that must be the danger zone in the Louvre. We have been very lucky though. A sick toddler was horrendous but the rest were pretty minor. Let’s hope our next big trip doesn’t give us enough new stories of bad luck for part 2… But travelling with 2 under 3, maybe. I did not like Brussel. I think it is not interesting city. Belgium has much more interesting places, for example, Bruges. Next time, try to live in Bruges a couple of days. You will not regret. Your poor daughter! I’m sure that was not a pleasant experience. I too spent hours in the Louvre and you are right-I don’t remember many exit signs! I just went on my honeymoon in Turks & Caicos and Hurricane Joaquin decided to visit f 4 days! Def one of the worst.